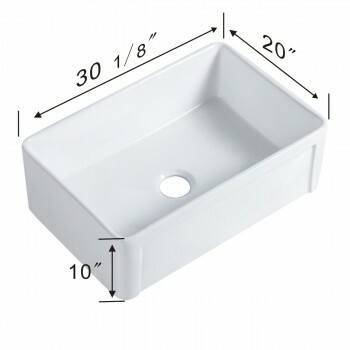 This Porcelain Vitreous China Farmhouse Kitchen Sink is guaranteed to add a traditional look of an apron farm sink to your kitchen. 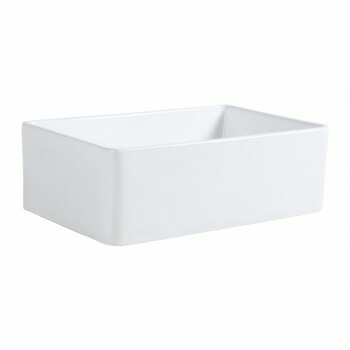 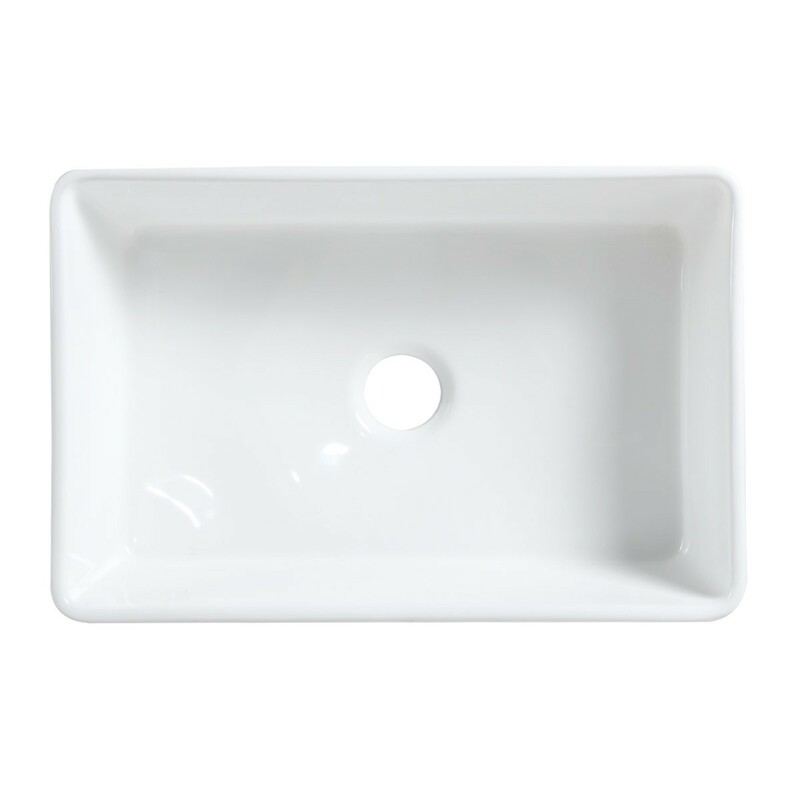 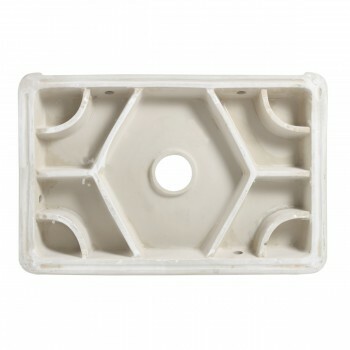 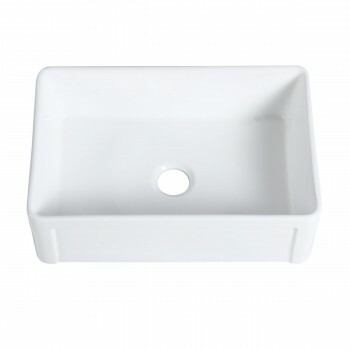 Compliment your decors with this highly durable, easy clean, scratch and stain resistant White Kitchen Sink. 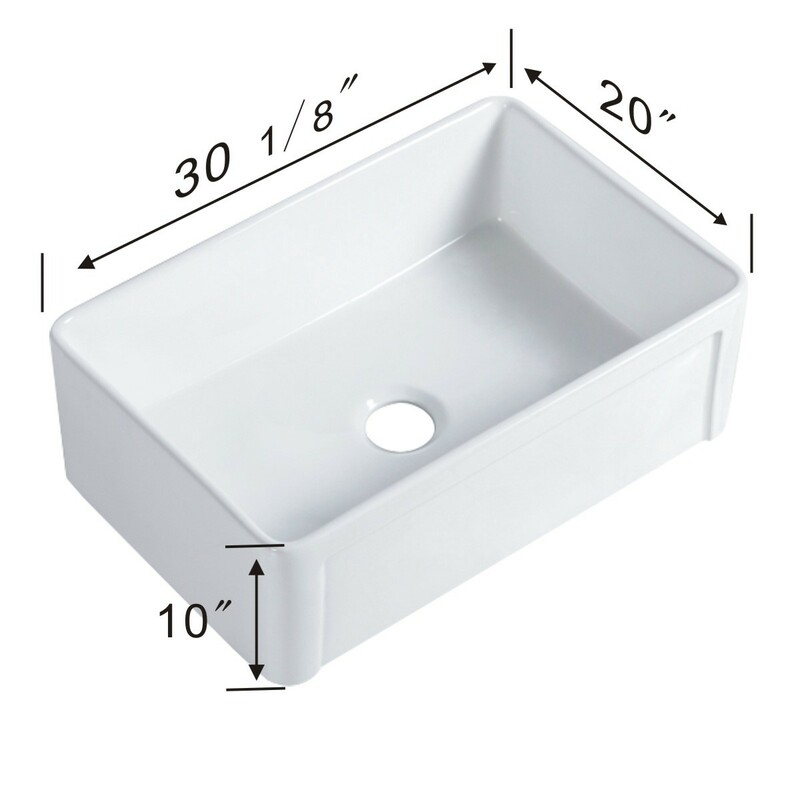 This Farmhouse Kitchen Sink is 30" Wide, 10" High and projection is of 20". 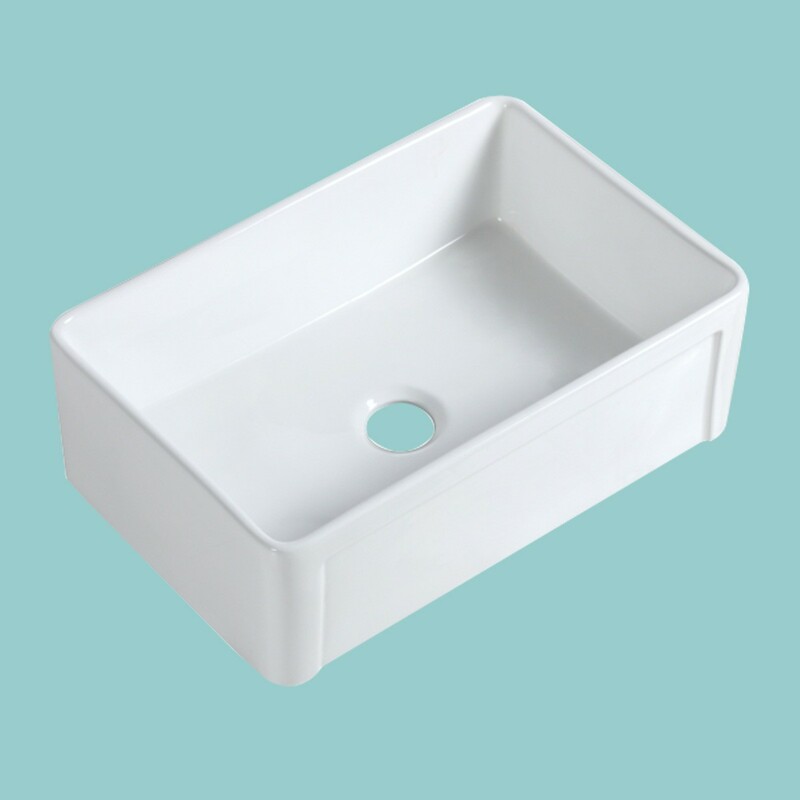 Grab your farmhouse style kitchen sink today.